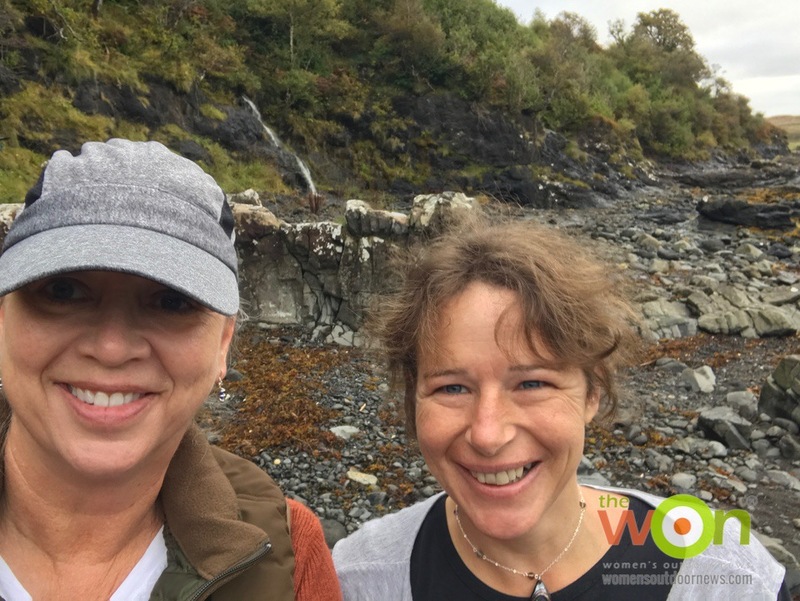 Last September, my husband and I spent 2 weeks in the UK, starting our trip in Glasgow, Scotland, renting a car and driving to the Isle of Skye. That’s about 5 hours and 2 flat tires (aka, punctures) away. 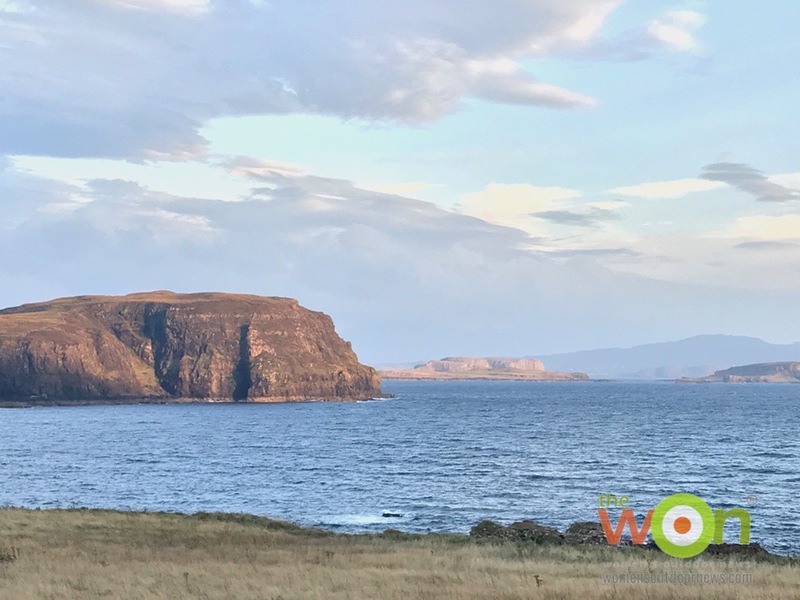 Fortunately, there’s a bridge that you can drive across to get to this famous island — which once hid Bonnie Prince Charlie from those who wished him not to be the future king. It’s said that there might be people on this island who have never seen a train, as there are no trains here. These same people, though, may have seen fairies, and most definitely have had an opportunity, such as I did, to collect sea glass. Fairies will be the next story. We stayed at a lovely cottage called Beacarrie House, tended by a kind landlady named Rosie Morrison, who also happens to be a sea glass artist. 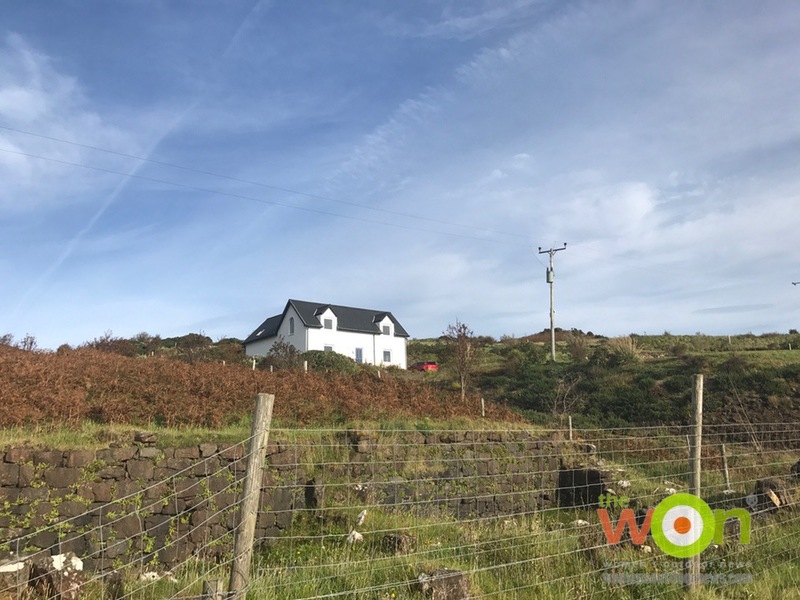 The one-bedroom, warm and homey cottage sits overlooking Loch Bracadale to the Cuillin Ridge, Talisker cliffs and mountains near the village of Orbost. It’s not hard to imagine shipwrecks out there among the jagged rocks and craggy beaches, and stories abound of Vikings, mermaids, fighting clansman and of course, fairies. I loved it. I also loved the opportunity to spend a morning hunting for sea glass with Rosie and her dog, Susie. 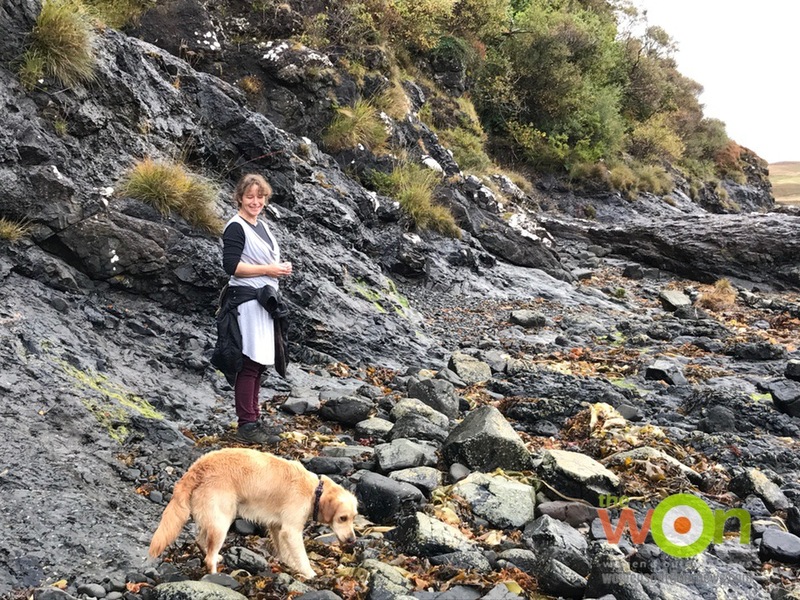 Rosie owns Skye Seaglass, a cottage business where she designs beautiful pieces from sea glass and uses intricate weaves of metal to enhance each treasure. 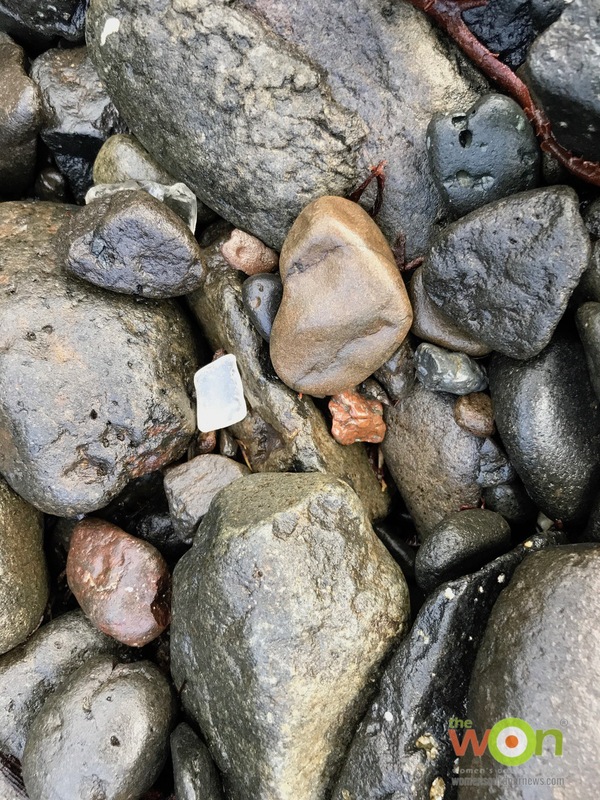 Can you spot the 1 piece of sea glass in this photo? Hint: It’s white. Rosie agreed to make a funky, chunky necklace for me from the pieces we found on the beach that day. But, hey, we found so many that she decided to make 2 necklaces! 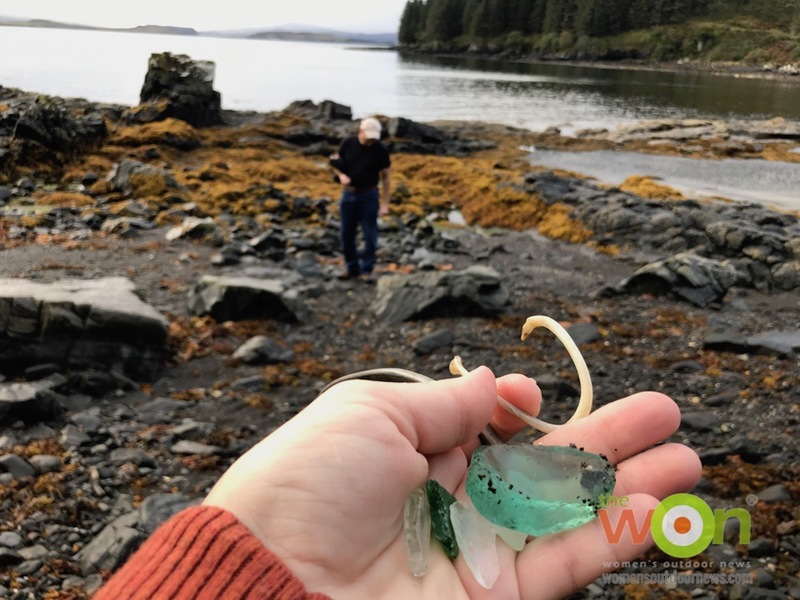 She wrote, “I have made 2 necklaces out of the sea glass you picked up (photos below). 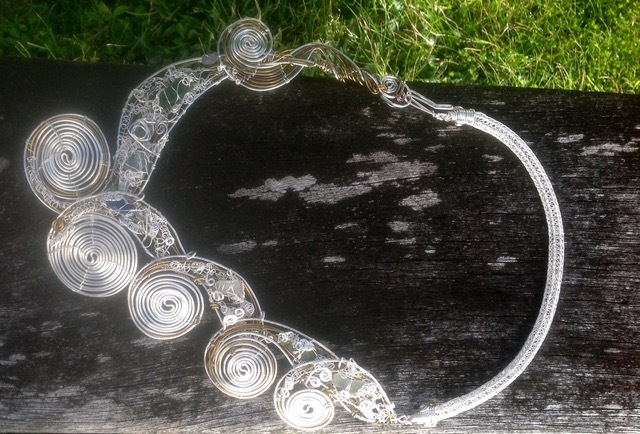 Originally, I wanted to combine the 2 elements but it just worked out better as 2 pieces.” I am over-the-moon delighted to have these 2 pieces to wear and share. I can hardly wait to get my necklaces. I think they will make a statement and definitely tell a story. 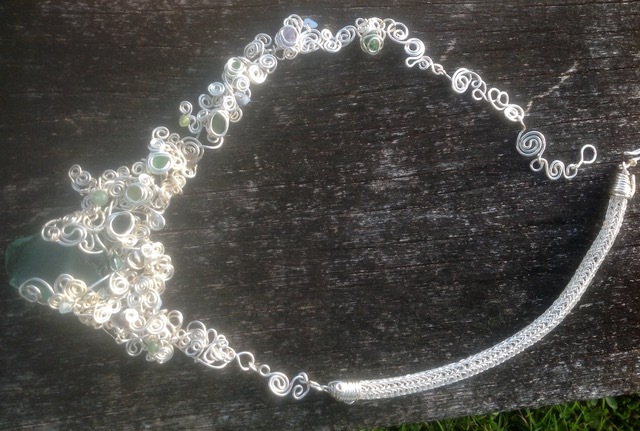 Rosie transformed that lovely piece of green into this creation, complete with the Viking woven net chain, too. Love! 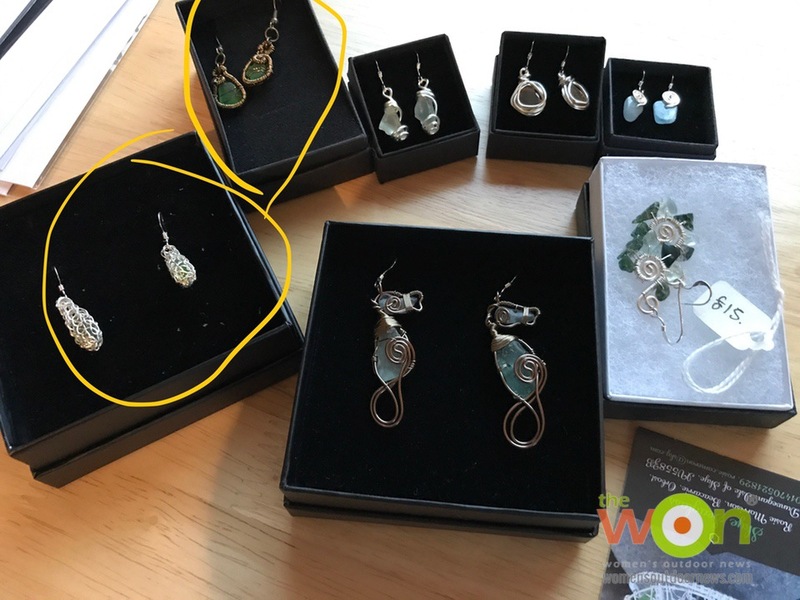 I also purchased several beautiful sets of earrings, and one particular pair featured a Viking net woven pattern around the sea glass. I heartily recommend a trip to the Isle of Skye, for so many reasons. 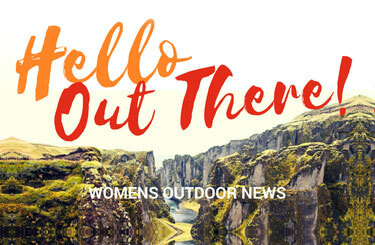 When you’re there, check out and stay at Beacarrie Cottage.